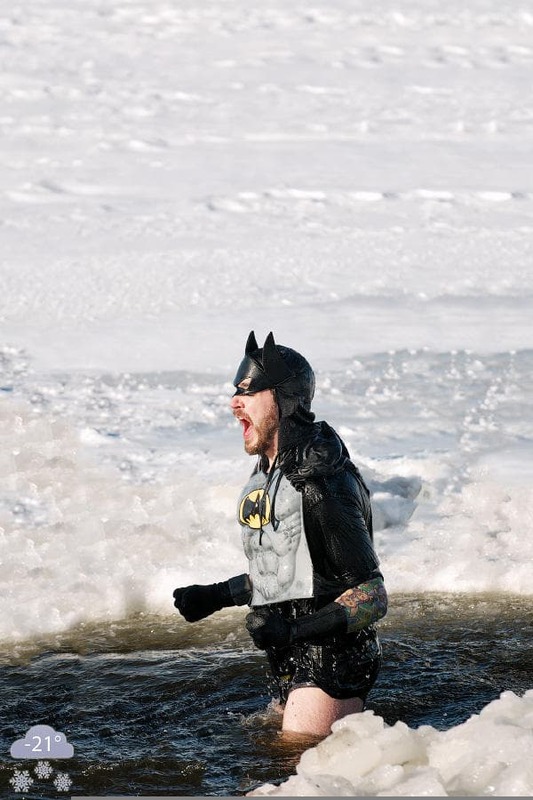 Batman at yesterday’s Sears Great Canadian Chill (New Year’s Day Polar Bear Dip) at Britannia Beach in Ottawa. Photographer Mr. Casual says: “Fingers were frozen just taking the photo”. 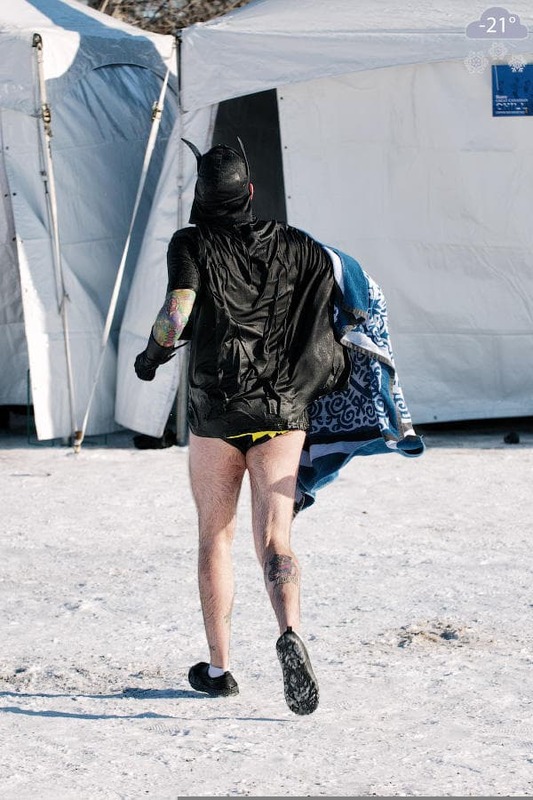 Here’s Batman running to shelter afterwards.